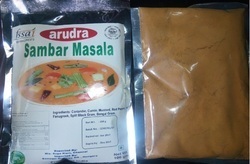 We are offering Sambar Masala Powder to our clients. 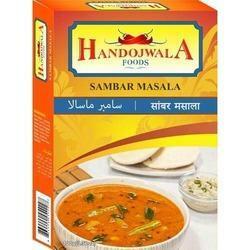 We offer authentic South Indian Sambhar Masala that is commonly used in the preparation of various south indian dishes. It adds an additional pinch of flavor to the recipe. These are available at competitive rates and are also offered in 15gm, 50gm, 100gm, 200g pack. Backed by years of industry experience, we are engaged in offering a premium quality range of Sambhar Masala. - Capturing rich flavours of south India with this perfect blend.